Place baking rack in the bowl in the low position and place 4 strips of bacon on top. Tap the bake button and set temperature to 425°F and fry for 10-12 minutes, until bacon is crispy. 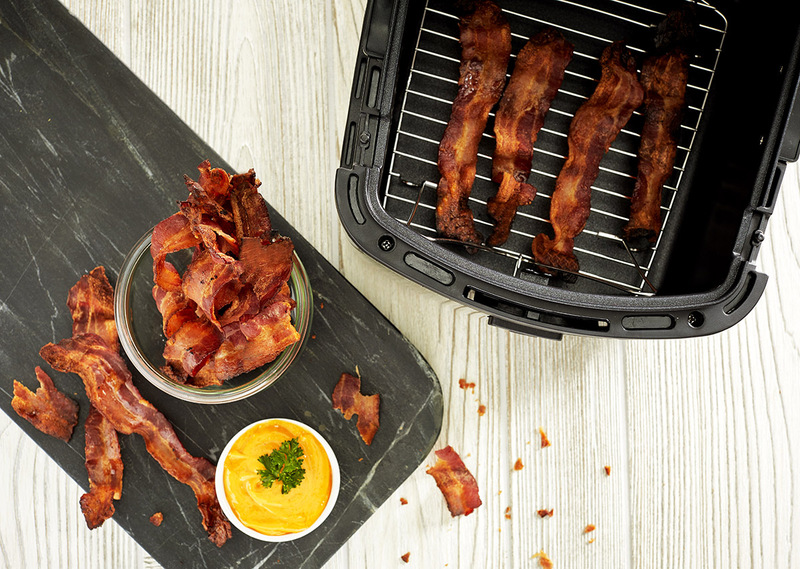 Remove bacon with a pair of tongs to a paper towel lined plate and repeat with remaining bacon.